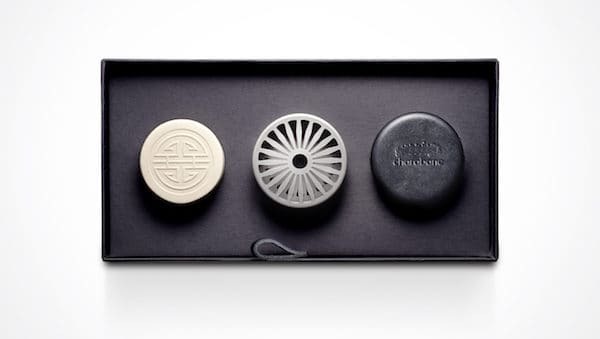 Charabanc, a luxury fragrance automobile accessory inspired by the golden age of travel will launch next week at the Goodwood Revival Festival (7th – 9th September) and is available exclusively at Harrods. 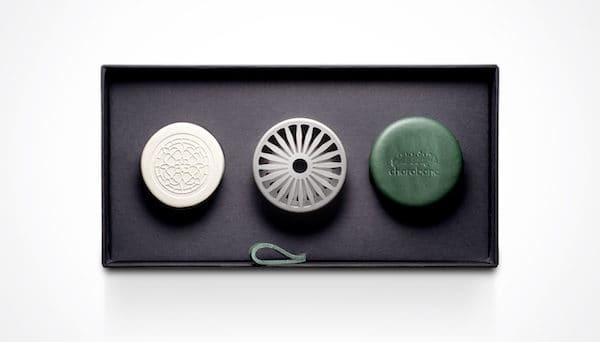 The distinctive product is comprised of a finely handcrafted, stenciled-steel pomander encased in leather and five fragrance ‘journeys’ inspired by the world’s most iconic drives; Across Pennine Fells, Along the Plain of Castellucio, The Golden Road to Samarqand, Journey to Tai Mo Shan and Monument Valley Drive. The luxury brand is rooted in the halcyon days of travel and named after ‘Charabanc’, one of the first motorized vehicles that took the aristocracy out on the shoot and on trips to the country and seaside. 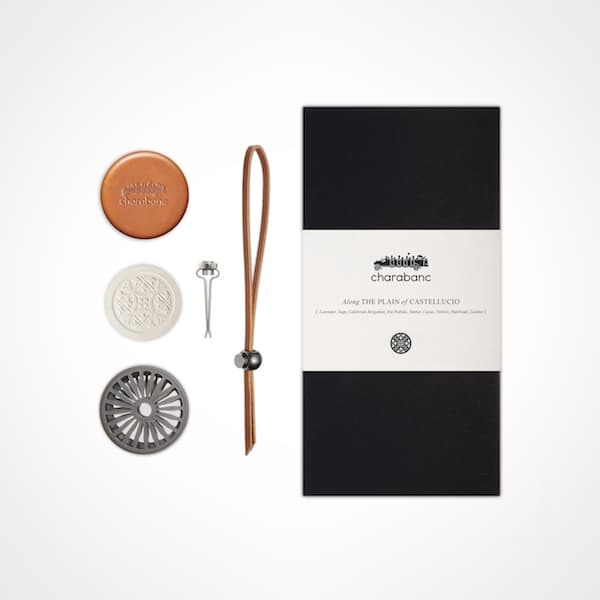 Charabanc’s fragrances have been curated by one of the most globally-renowned perfume houses and are inspired by the flora and fauna of some of the world’s most awe-inspiring drives. Each scent has an additional note of leather and wood to evoke the olfactory microcosm of a vintage car, creating a fragrance journey.